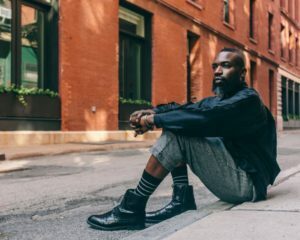 Darnell L. Moore is Editor-at-Large at CASSIUS (an iOne digital platform) and formerly a senior editor and correspondent at Mic. He is a co-managing editor at The Feminist Wire and an editor of The Feminist Wire Books (a series of University of Arizona Press). He is also a writer-in-residence at the Center on African American Religion, Sexual Politics and Social Justice at Columbia University. Along with NFL player Wade Davis II, he co-founded YOU Belong, a social good company focused on the development of diversity initiatives. Darnell’s advocacy centers on marginal identity, youth development and other social justice issues in the U.S. and abroad. He is the host of Mic’s digital series, The Movement, which was nominated for a Breakthrough Series: Short Form Award at the 2016 IFP Gotham Awards. He has led and participated in several critical dialogues including: the 58th Session of the UN Commission on the Status of Women; the 50th Anniversary of the March on Washington National Panel on Race, Discrimination and Poverty; the 2012 Seminar on Debates on Religion and Sexuality at Harvard Divinity School; and as a member of the first U.S. delegation of LGBTQ leaders to Palestine in 2012. A prolific writer, Darnell has been published in various media outlets including MSNBC, The Guardian, HuffingtonPost, EBONY, The Root, The Advocate, OUT Magazine, Gawker, Truth Out, VICE, Guernica, Mondoweiss, Thought Catalog, Good Men Project and others, as well as numerous academic journals including QED: A Journal in GLBTQ World Making, Women Studies Quarterly, Ada: A Journal of Gender, New Media & Technology, Transforming Anthropology, Black Theology: An International Journal, and Harvard Journal of African American Policy, among others. 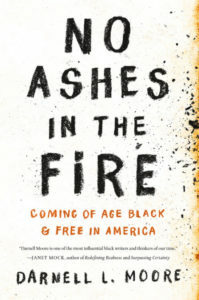 No Ashes in the Fire: Coming of Age Black & Free in America is a story of beauty and hope—and an honest reckoning with family, with place, and with what it means to be free.